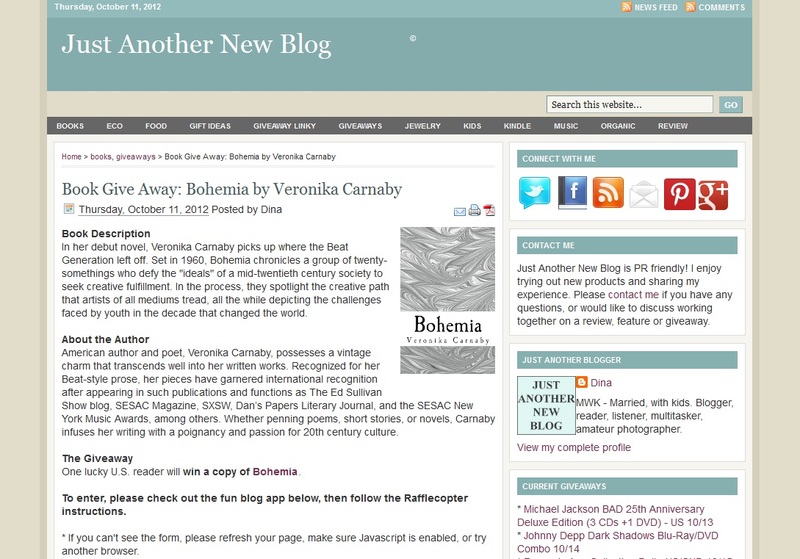 If you're a resident of the US and have yet to purchase your copy of Bohemia or are interested in getting your hands on another one, you're in luck! 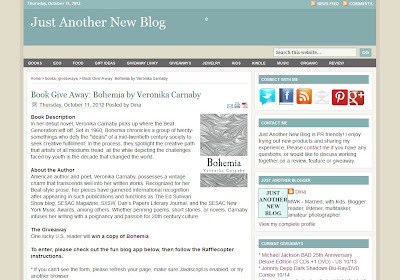 Sign up for Just Another New Blog's raffle to win a free, autographed paperback of Veronika Carnaby's debut novel, featuring words from legendary jazz musician, Archie Shepp! One lucky winner will be chosen at random after two weeks. Open to US residents only. Raffle ends on October 25th. Don't miss your chance to own the novel that has earned support from critics and readers alike!